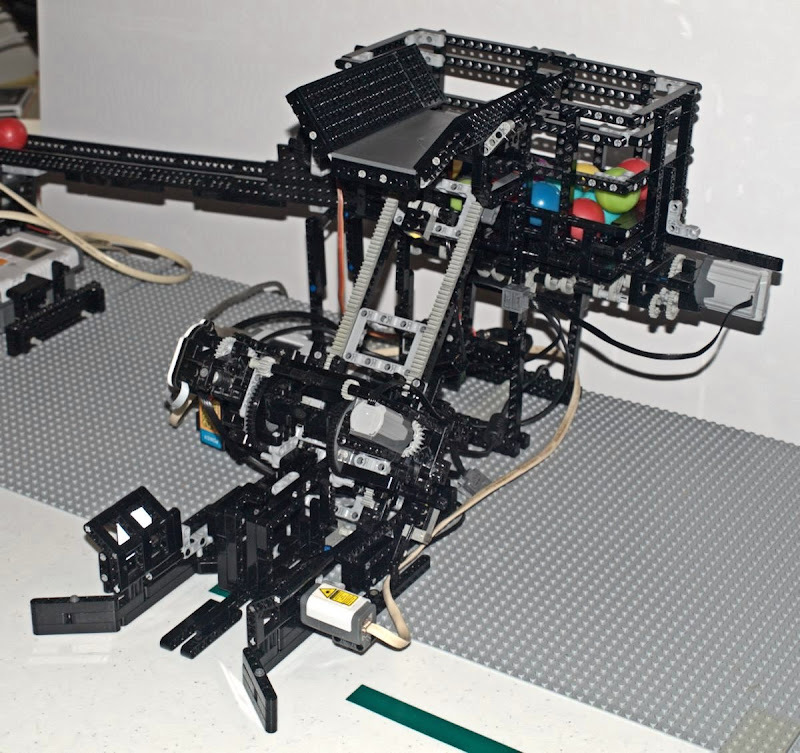 This is a LEGO Mindstorms NXT "Bin Emptying Robot: Mark III". It is part of a larger project I have been working on, my "Ball Sorting Factory". A forklift delivers full Bins of balls to be emptied. The Emptied bins are then taken away to the processing facility to be refilled. 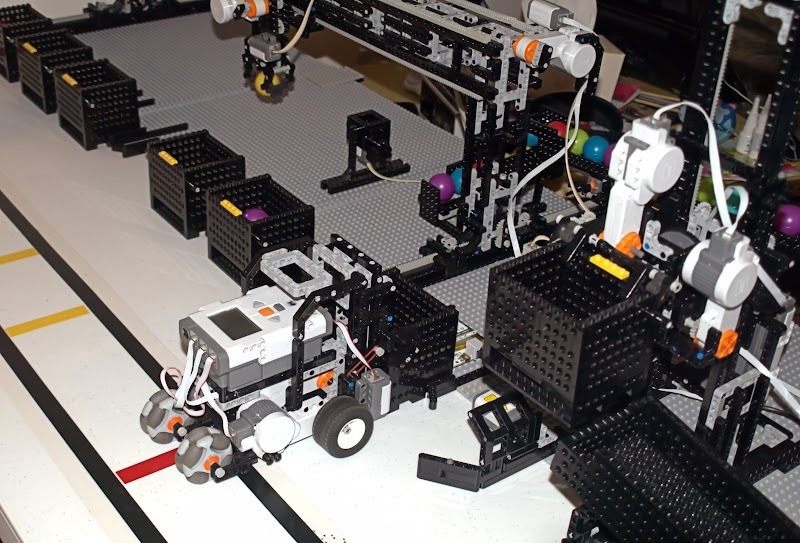 Like the previous version, it uses a "Ball Repository" to store, mix and reload the Production Line with Balls when the "Ball Sorting Factory" needs them. The major difference with this version is electronic. It uses a BETA Version of the soon to be released Mindsensors SensorMUX is a multiplexer which allows the connect of 4x NXT sensors to single NXT port. 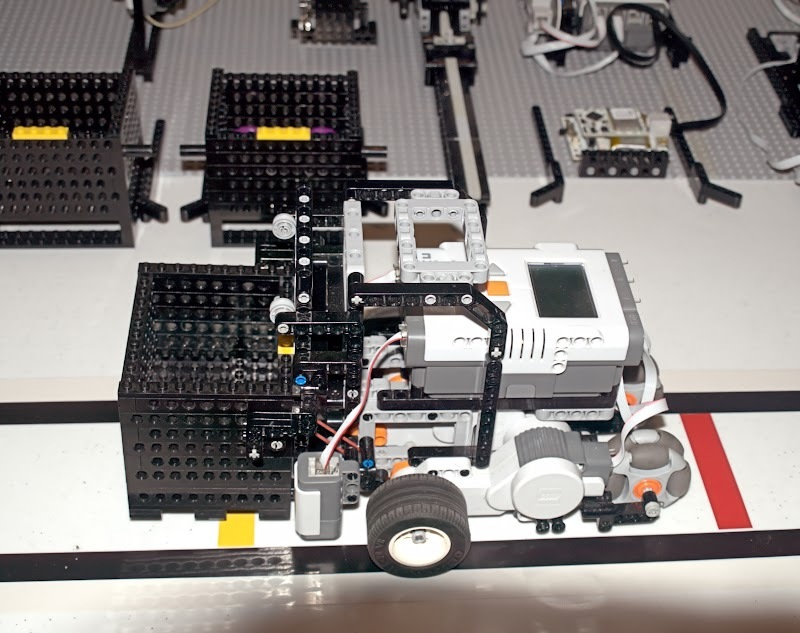 The Mindsensors SensorMUX can connect any sensor designed for Mindstorms NXT, both LEGO and/or third party sensors. The Mindsensors SensorMUX is requires an external battery source supplying a voltage range between 6 and 8.4 volts to operate. 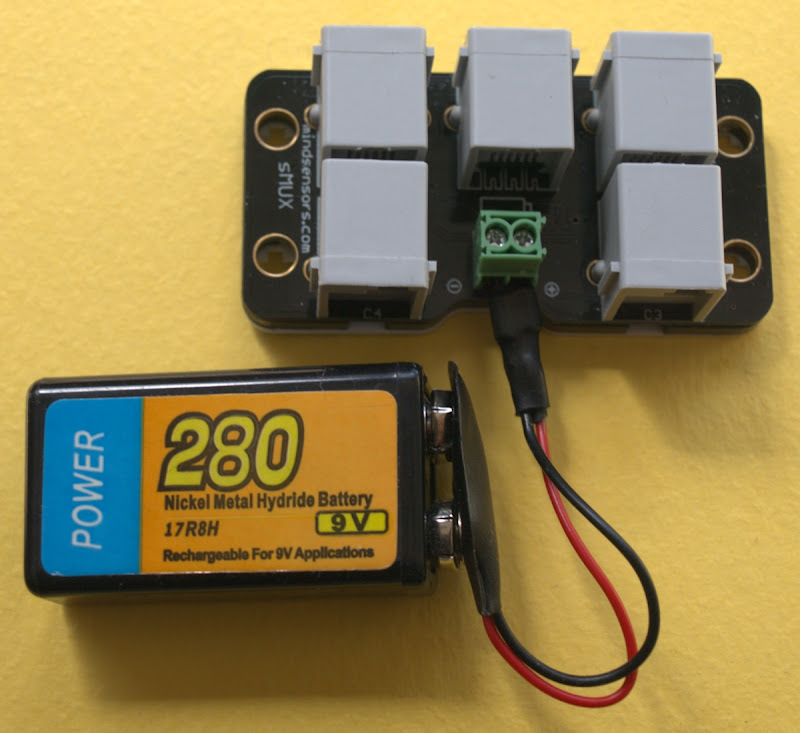 View my article, "Power the Mindsensors SensorMUX from a 9V Battery" for details on a simple power supply derived from a 9v (PP3 battery) for the Mindsensors SensorMUX. 1x Mindsensors Touch Sensor Multiplexer for NXT – Connects up-to 3x NXT Touch Sensors to single NXT port.